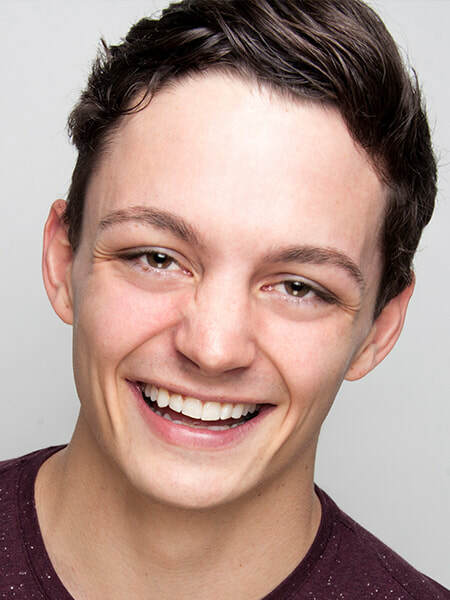 Brad Bradley (Igor, Dance Captain) is thrilled to be returning to NSMT after starring last year as Bert in Mary Poppins and as Patsy in Spamalot, in the same role that won him the Broadway World Award at Theatre By The Sea. Credits include original Broadway casts of Spamalot, Annie Get Your Gun, Thou Shalt Not, People in the Picture, Steel Pier, closing cast of Billy Elliot. Brad also starred as Patsy on the 1st National Tour of Spamalot. NYC -I am Harvey Milk, Chita: A Legendary Celebration. 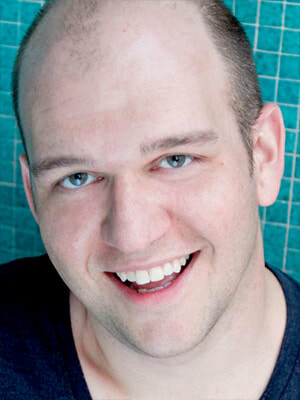 Most recently he was Benny SouthStreet in Guys and Dolls at Maine State Music Theatre. At age 12, Brad was a backup dancer for Michael Jackson in the Pepsi commercial. His podcast Broadways Backbone is available on iTunes. Tom Gleadow (Inspector Kemp, Hermit, Mr. Hilltop) has been performing in and out of New England for close to thirty years. Recent theatre credits include Theatre By The Sea (The Music Man, La Cage Aux Folles, Spamalot, My Fair Lady, West Side Story, Sister Act, The Wizard of Oz, Young Frankenstein), Trinity Repertory Company (Oklahoma!, Oliver, Fuenteovejuna, A Christmas Carol), The Gamm Theatre (Awake and Sing, Much Ado About Nothing, Hamlet, Arcadia, Romeo and Juliet), Commonwealth Shakespeare Company (A Midsummer Night’s Dream, As You Like It), Ocean State Theatre Company (Inherit the Wind), and North Shore Music Theatre (Anything Goes). Tom is an Adjunct Faculty at Salve Regina University and Rhode Island College, where his production of As You Like It won the Best Ensemble award at The American College Theatre Festival. However, his two greatest productions are his children: Charlotte and Max. 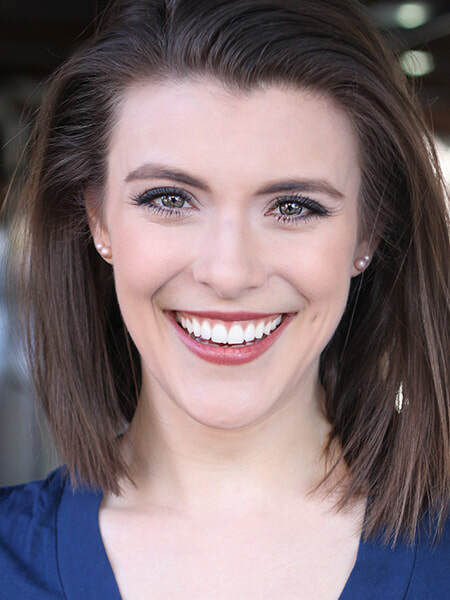 Brooke Lacy (Inga) is beyond thrilled to be back at North Shore, this time to “Roll in Ze Hay!” You may have seen her in last season’s productions of Funny Girl and Spamalot! 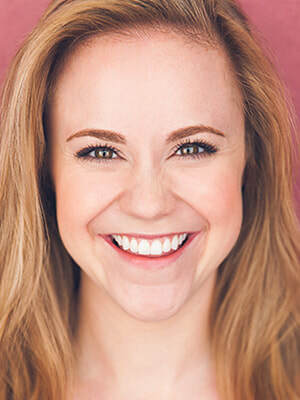 Favorite credits include: The Will Rogers Follies (Maltz Jupiter Theatre), Mary Poppins, Gypsy, and The Wedding Singer (Pittsburgh Civic Light Opera), Mrs. Potiphar in Joseph...Dreamcoat (Music Theatre Wichita), and Julie Jordan in Carousel (University of Oklahoma). Infinite X’s and O’s of thanks to Kevin and Bill for this opportunity, and as always, endless love and gratitude go out to her families (biological, Harden-Curtis, OU, and MTKC) for their undying support and encouragement over the years. For Steven - Be the Sun! Brian Padgett (The Monster) is thrilled to be back at his second home(NSMT) and monsterously happy to be playing with this group of zany fools! Previously seen this season as Marsellus in The Music Man. Brian is so excited to be returning to his monster boots! Other NSMT credits include Billy Elliot (Braithwaite), Mary Poppins (Robertson Ay), West Side Story (Gladhand) and A Christmas Carol (Old Joe). Favorite credits include: the Broadway tours of Elf: The Musical and The Drowsy Chaperone, Beauty and the Beast (Cogsworth), Hairspray (Edna), Joseph…(Napthali/Baker), Hello, Dolly! (Rudolph/Ensemble), White Christmas (Snoring Man, Zeke), 42nd Street (Bert Barry) among many more. Kevin P. Hill, Kevin P. Hill, Kevin P. Hill, Kevin P. Hill ... I want to shout your name over and over! You are a friend, mentor, director, leader and I thank God for you! A huge thank you goes to Bill, Karen and the whole NSMT gang, his family, friends and, above all, God for love and unending support. Psalms 46:10. 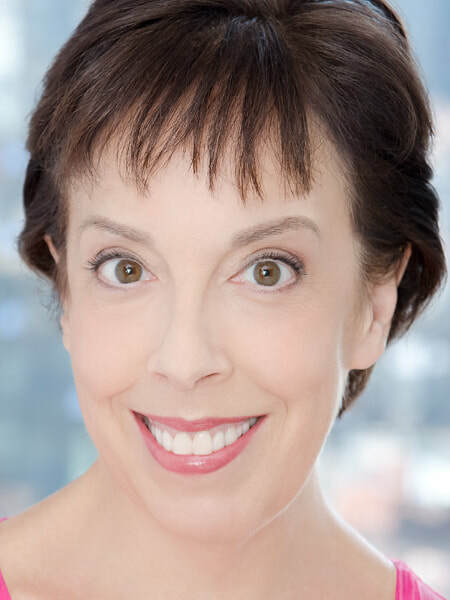 Sandy Rosenberg (Frau Blucher) returns to NSMT after appearing as Mrs. Strakosh in Funny Girl and is thrilled to play Frau Blucher (cue horses) for the 5th time. This year, Sandy appeared in The Drowsy Chaperone (Mrs. Tottendale), understudied a one woman Off-Broadway show, Not That Jewish, and was Flo Manero in Saturday Night Fever. Broadway: The Scarlet Pimpernel (Lady Digby), Mamma Mia! (Rosie U/S) and NYC Opera’s Candide (Old Lady U/S). National tours: Les Miserables (Mme. Thenardier U/S) and Jekyll and Hyde (Lady Beaconsfield). Off-Broadway and Regional: The Golden Land (Gnendl/Gussie), Mary Poppins (Bird Woman/Miss Andrew), Sister Act (Sister Mary Lazarus), The Wedding Singer (Grandma Rosie), The Full Monty (Jeanette), Nunsense (Mother Superior), and Phantom (Carlotta). Next year, she will be seen in the Melissa McCarthy movie, Can You Ever Forgive Me? Love my Sid. Purdie Baumann (Masha, Ensemble) loves performing at NSMT! Last season she played Mrs. Meeker in Funny Girl and performed in the ensemble of Spamalot. Credits include Radio City Rockette, Young Frankenstein (1st National Tour), Me and My Girl (Maltz Jupiter Theatre), A Funny Thing Happened on the Way to the Forum (Riverside Theatre), Anything Goes (Theatre Under the Stars), Gypsy, Carousel (Gateway Playhouse). Purdie Baumann can been seen dancing in NBC's hit series Smash, Martin Scorsese's film The Wolf of Wall Street, and the made for Netflix movie A Very Murray Christmas, starring Bill Murray. 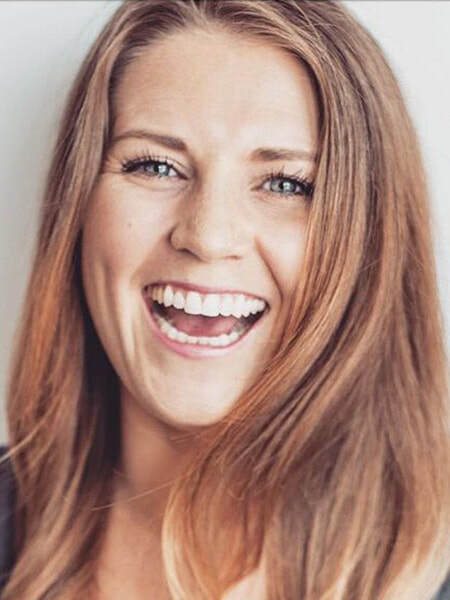 Ms. Baumann has also worked with the choreographer Ryan Heffington (Sia, "The OA") on many fashion events including Kenzo for H&M and Lexus. Purdie most recently modeled in the Spring '17 fashion show for Mara Hoffman. Purdie owes her talent and acting skills to her momma who is back home in Chicago teaching dance and drama to underprivileged children. Go Mom! I love you Mike Preen! Jason Elliott Brown (Ziggy, Quartet, Shoeshine Man, Lawrence, Ensemble, s/c Igor) NSMT: Monty Python’s Spamalot. National tours: The Pajama Game (Prez), Monty Python’s Spamalot. International: Grease in Istanbul, Turkey. Regional: Hello, Dolly! (Hangar Theatre); The Drowsy Chaperone (Gangster #2/Flat Rock Playhouse); The Full Monty (Malcolm MacGregor/Wagon Wheel Theatre); 42nd Street (Merry-Go-Round Playhouse); Annie (Rooster/West Virginia Public Theatre); FAME—The Musical in Atlantic City (Schlomo); Disney’s The Little Mermaid (Scuttle/Palace Theatre in the Dells). BFA Musical Theatre—Wright State University. 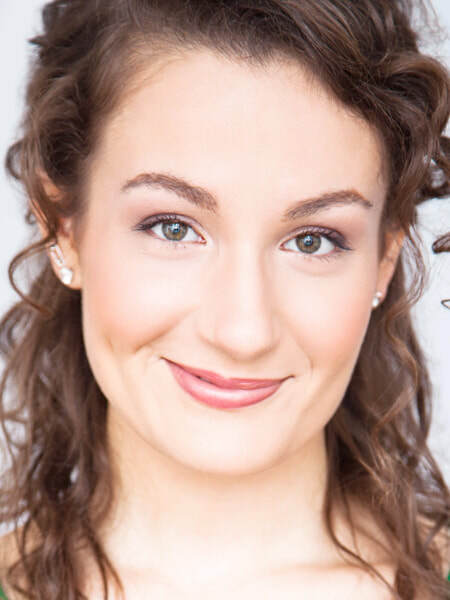 Briana Fallon (Ensemble) is overjoyed to return to her home theatre, NSMT! Previous NSMT credits: Disney’s Beauty and the Beast, Mary Poppins, Singin' in the Rain, Billy Elliot, Saturday Night Fever. Off-B’way: Anything Goes and Funny Face (Dance Captain). Regional: Theatre by the Sea, Arts Center of Coastal Carolina. BFA from The Boston Conservatory. Many thanks to Kevin, Bill, Milton, BlocNYC, and Binder Casting for this great opportunity. Thanks to Mom, Dad, David, and family for their endless love and support. 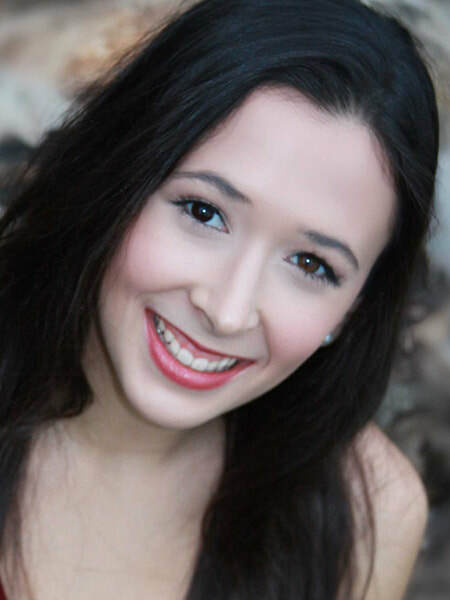 Danielle Marie GQ (Ensemble) is entering her senior year at The Boston Conservatory and is beyond grateful to be making her North Shore debut. 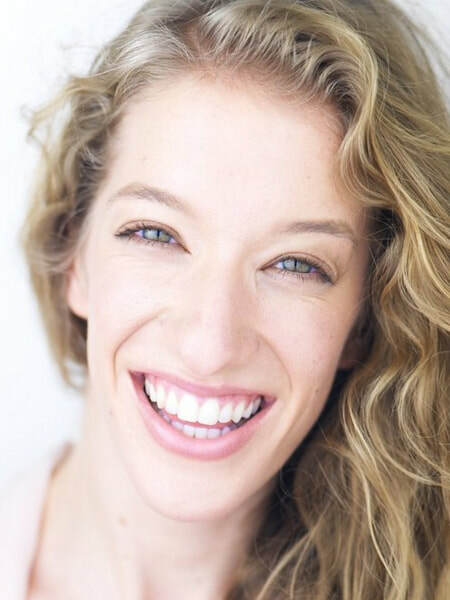 Her credits include Side Show (The Boston Conservatory), West Side Story (Theatre by the Sea), Wizard of Oz (Theatre by the Sea), Buddy Holly Story (Theatre by the Sea) and Spring Awakening (The Boston Conservatory). She appreciates her family and teachers in her life; thank you Kevin Hill for the opportunity! Cameron Hobbs (Student, Sasha, Ensemble, u/s Kemp/Hermit/Mr. Hilltop) is thrilled to be making his NSMT debut in Young Frankenstein! Credits include: St. Louis MUNY, Actor’s Theatre of Louisville, Fulton Opera House, Transcendence Theatre Company and Disney Cruise Line. Huge thanks to Kevin Hill for this opportunity! Otterbein University graduate. Bloc Agency. IG: CamHobbs. Love to my monster, Stephen, and as always, for Mom. Stephanie Moskal (Ensemble) is super excited to be back at NSMT!! 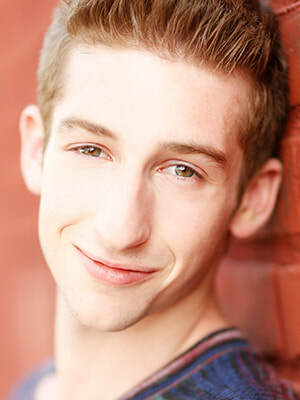 Previous NSMT credits: Billy Elliot, The Little Mermaid, Grease, The Wizard of Oz, Hello, Dolly!, Singin’ in the Rain. National Tour: Beauty and the Beast (Babette). Regional: Fulton Theatre, Ogunquit Playhouse. BFA: The Boston Conservatory. All her love and thanks, to her friends, family, and all those involved in bringing this show to life! 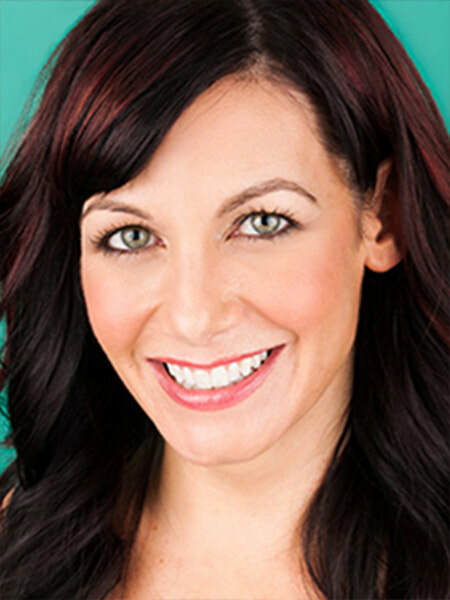 Cara Salerno (Tasha, Ensemble) is honored to be back at NSMT! Tour: Hello Dolly! NY: Associate Choreographer for South Pacific (Paper Mill Playhouse). Regional: What A Glorious Feeling (Jeanne Coyne), Singing In The Rain (Lady In Green), 42nd St. (Lorraine), Cats (Bombalurina), Seven Brides…(Ruth and Sarah), Thoroughly Modern Millie (Pearl Lady), Crazy For You (Tess), Sister Act (Michelle), Grease (Cha-Cha), LaCage…(Bitelle), Dirty Rotten Scoundrels, Oklahoma, Joseph…, Brigadoon, Kiss Me Kate, Music Man, Mary Poppins. AEA! Thank you Bill and Kevin! (COCO). For my Daddio and our Rockstar. Cheers! 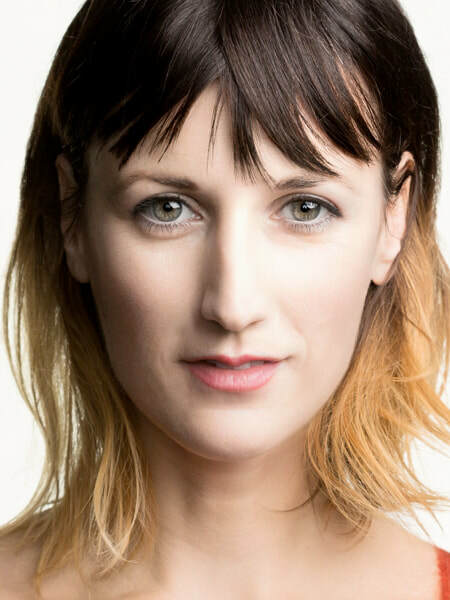 Kristen Schoen-René (Ensemble, s/c Inga) is absolutely delighted to return to NSMT after last season's Spamalot. Her latest "production" is her son, Beckett, who was born in March. Credits include the Merry Widow (The Metropolitan Opera, Lyric Opera of Chicago), Anything Goes (Gateway Playhouse, Ogunquit Playhouse), Radio City Rockette, Young Frankenstein (Theatre By The Sea, Gateway Playhouse, Ogunquit Playhouse, NETworks National Tour), Will Rogers Follies (Arrow Rock Lyceum), and 42nd Street (Atlantic City). BFA from The Ailey School/Fordham University. Many thanks to Kevin and the NSMT team for this opportunity! Love to BMC and to family! 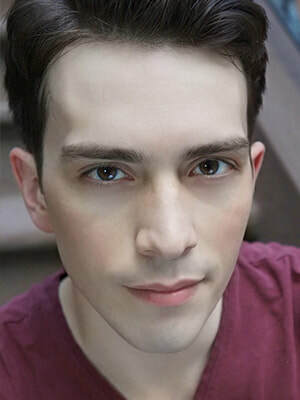 David Visini (Student, Equine, Ensemble) is thrilled to return to NSMT! 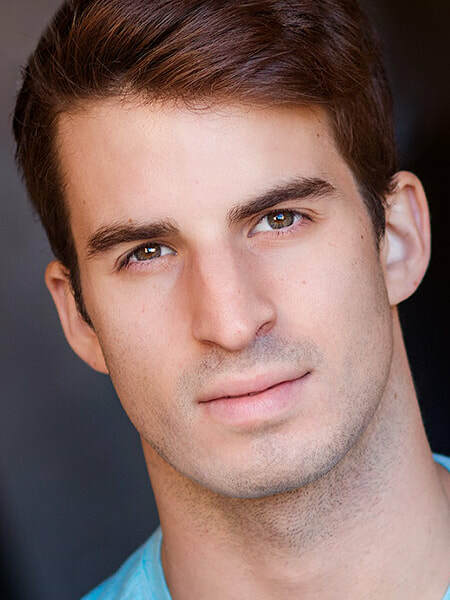 Previous NSMT credits include Disney’s Beauty and the Beast, Funny Girl, Singin' in the Rain, and Spamalot. Off Bway: Anything Goes (Musicals Tonight!). Other Regional Credits include Finger Lakes Musical Theatre, Gateway Playhouse, and Forestburgh Playhouse. BFA from Rider University, and alumni of the School at Jacobs Pillow. Thanks to CTG, Kevin, Bill, Milton, and Binder Casting for this opportunity. Thanks to family, Briana, and friends for their support! Mel Brooks (Book, Composer & Lyricist) Director, producer, writer and actor, Mel Brooks is the recipient of three 2001 Tony Awards (Best Score, Best Book of a Musical, Best Musical) and two Grammy Awards (Best Musical Show Album and Best Long-Form Music Video) for The Producers. Mr. Brooks began his distinguished career during television's Golden Age as a writer for Sid Caesar on "Your Show of Shows" in 1951. In 1955 and in 1957, Brooks received Emmy Award nominations (with others) for Best Comedy Writing for "Caesar's Hour," and in 1956 he was nominated (with others) for Best Writing for a Variety or Situation Comedy. In 1952, Brooks wrote sketches for Leonard Sillman's Broadway smash-hit revue, New Faces of 1952, and in 1957, together with Joe Darion, he wrote the book for the Broadway musical Shinbone Alley, which starred Eartha Kitt. In 1962, he wrote the book for the Broadway musical All American, starring Ray Bolger. In the ‘60s, Brooks teamed up with Carl Reiner to write and perform The 2000 Year Old Man albums, which became immediate bestsellers. In 1960 and 1961, Brooks and Reiner received Grammy Award nominations for Best Spoken-Word Comedy for 2000 Years and for Best Comedy Performance for 2000 and One Years, respectively. In 1997, Brooks and Reiner teamed up again for The 2000 Year Old Man in the Year 2000. Both a book and CD were released, the CD winning a Grammy Award in 1998 for the Best Spoken-Word Album, Comedy. Brooks wrote and narrated The Critic, a short satire on avant-garde art films, which received the Academy Award for Best Animated Short Subject in 1964. In 1965, he teamed up with Buck Henry and created "Get Smart," the long-running television show starring Don Adams as Agent 86. Brooks, along with others, received an Emmy Award for Outstanding Writing Achievement in Comedy-Variety in 1967 for "The Sid Caesar, Imogene Coca, Carl Reiner, Howard Morris Special." In 1968, he wrote and directed his first feature film, The Producers, starring Zero Mostel and Gene Wilder, which earned him an Academy Award for Best Original Screenplay Written Directly for the Screen. He then went on to create a remarkable string of hit comedies: 1970, wrote, directed and acted in The Twelve Chairs; 1974, co-wrote, directed and acted in Blazing Saddles and was nominated, along with John Morris, for Best Title Song, "Blazing Saddles"; 1974, co-wrote and directed Young Frankenstein; 1976, co-wrote, directed and starred in Silent Movie; 1977, co-wrote, directed, produced and starred in High Anxiety; 1981, wrote, directed, produced and starred in History of the World, Part I; 1983, produced and starred in To Be or Not to Be; 1987, co-wrote, directed, produced and starred in the hit sci-fi spoof, Spaceballs; 1991, co-wrote, directed, produced and starred in Life Stinks; 1993, co-wrote, directed, produced and starred in Robin Hood: Men in Tights; 1995, co-wrote, directed, produced and starred in Dracula: Dead and Loving It; 2005, co-wrote and produced The Producers, the film version of his Tony Award-winning 2001 Broadway musical and was nominated for a Grammy for Best Song Written for a Motion Picture, "There's Nothing Like a Show on Broadway." For three successive seasons, Brooks won the Emmy Award for his role as Uncle Phil on the hit comedy show, "Mad About You." His visionary film company, Brooksfilms Limited, founded in 1980, has produced some of America's most distinguished films, among them David Lynch's The Elephant Man, David Cronenberg's The Fly, Frances, Richard Benjamin's My Favorite Year and 84 Charing Cross Road, starring Anthony Hopkins and Anne Bancroft. Thomas Meehan (Book) won the 2003 Tony Award® for co-writing, with Mark O'Donnell, the book for Hairspray after having won the 2001 Tony Award® for co-writing the book, with Mel Brooks, of The Producers. He received his first Tony Award® in 1977 for writing the book of Annie, which was his first Broadway show, and he has since written books for the musicals I Remember Mama; Ain’t Broadway Grand; Annie Warbucks, and the American version of Bombay Dreams. His most recent works are the Broadway musicals Rocky, Elf The Musical, Chaplin, and Young Frankenstein, for which he co-wrote the book with Mel Brooks, and Cry-Baby, co-written with Mark O’Donnell. In addition, he is a long-time contributor of humor pieces, including Yma Dream, to The New Yorker; an Emmy Award®-winning writer of television comedy; and a collaborator on a number of screenplays, including Mel Brooks’ Spaceballs; To Be or Not to Be and the film version of The Producers. He is also, with the poet J.D. McClatchy, the co-author of the libretto of 1984, an opera composed by Lorin Maazel, based on George Orwell’s classic novel, which had its world premiere in the spring of 2005 at London’s Royal Opera House and was performed last year at La Scala, in Milan. Mr. Meehan is a member of the Council of the Dramatists Guild. Kevin P. Hill (Director, Choreographer, Producing Artistic Director). 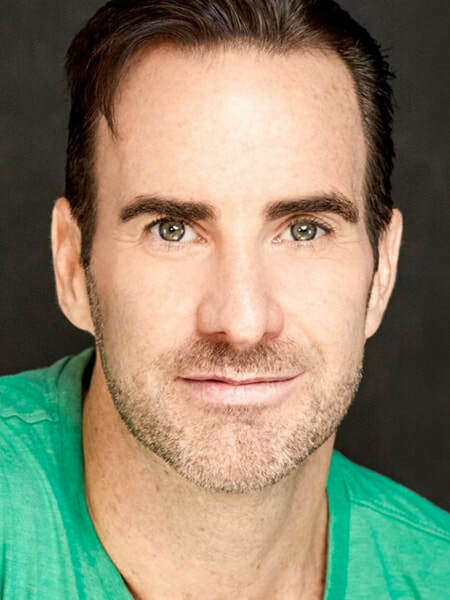 Born and raised in Waltham, Massachusetts, Kevin began his theatrical career as dancer and actor. He appeared in National Touring companies of Hello, Dolly! with Carol Channing, Leslie Uggams and Michele Lee, Anything Goes and the International Touring Company of A Chorus Line. New York audiences have seen him in the Off-Broadway production of Party. Regional credits as a performer include: West Side Story, Good News! A Chorus Line, My Fair Lady and Marvin in Falsettoland. Kevin has directed and choreographed over 100 productions across America. 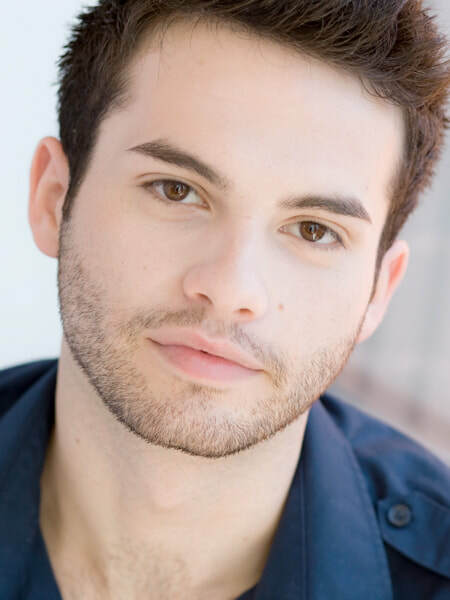 He has had the privilege of working with such stars as Marin Mazzie, Joanne Worley, Kathleen Turner, Josh Groban, Jonathan Groff and Tony Award winner, Cady Huffman. In New York, he was the assistant to the director of On the Twentieth Century at the New Amsterdam Theatre and assistant to the choreographer on the revival of Guys and Dolls. Most recently he directed and choreographed Smokey Joe’s Cafe, Sister Act, Young Frankenstein, Mary Poppins, and at Bill Hanney's Theatre By The Sea in Rhode Island, where he is also Producing Artistic Director. 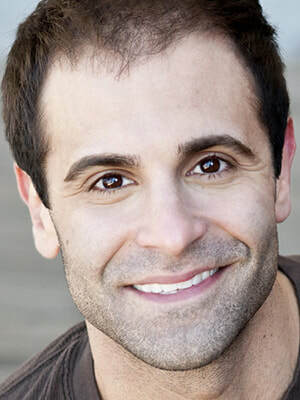 Kevin has been nominated as Best Director/Choreographer for his work on Smokey Joe's Café, Rent, The Full Monty, Chicago, and Edwin Drood, and was awarded the NH Theatre Award for Best Choreography for West Side Story at the Papermill Theatre. Future projects include an original danced play called Standing Still. 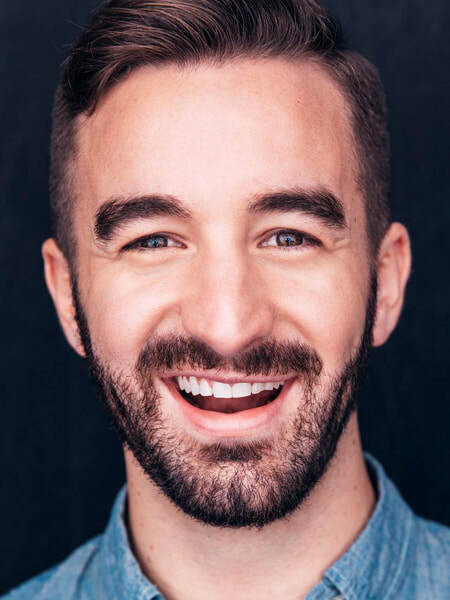 As a Professor of Dance, Kevin has been on faculty at Pennsylvania State University, Kansas State University and most recently The Boston Conservatory of Music. 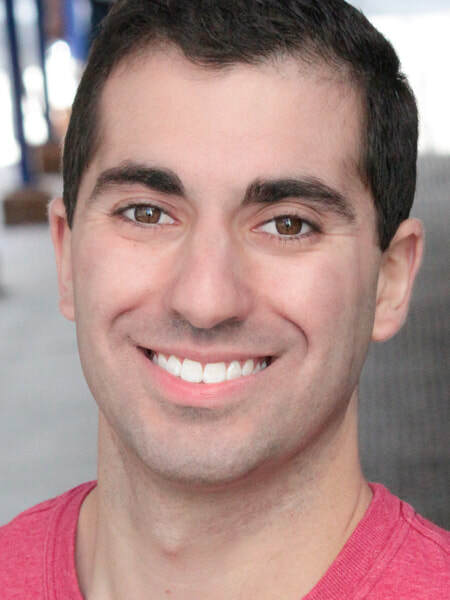 He currently owns Hill Studios Dance and Fitness Center located in Newton, Massachusetts, and is a proud member of SDC, AEA and Dance Masters of New England, Chapter 5. Sandra Pelletier (Costume Coordination and Additional Costume Design) is very excited to be part of the Young Frankenstein team. She has been working at NSMT since 2008 as a Costume Intern, then as Wardrobe Supervisor, and now as the Costume Coordinator. She’d like to thank her parents for taking her to shows at NSMT while growing up and instilling in her a love of theatre, and also thanks to Catherine, James, Jessie, Kat and Kelly for all your support. Most importantly love and thanks to Aaron Tobey, Happy 1st Anniversary. Jack Mehler (Lighting Design). Previous work with NSMT includes Scenery & Lighting for Singin’ in the Rain, Billy Elliot The Musical 2015, Miss Saigon 2013, Scenery for West Side Story 2003, and Lighting for A Christmas Carol ('02-'16; 2012 IRNE nomination), Annie, Camelot (IRNE nomination), Children of Eden, 42nd Street, Funny Girl, Gypsy, Hairspray, High School Musical, Jesus Christ Superstar, The King and I, A Little Night Music, My Fair Lady, Nine (IRNE nomination), Ragtime, The Producers, Thoroughly Modern Millie, West Side Story (2016), Wizard of Oz. He received the 2012 (Elisabeth) and 2013 (Rebecca) Korean Muscial Theatre Awards (Korean Tony) for Lighting Design of the Year. Other Theatre design credits include Walnut Street Theatre, Paper Mill Playhouse, Manhattan Theatre Club, Riverside Theatre, Cleveland Play House, Seattle Rep, Syracuse Stage, Weston Playhouse, The Working Theatre and WPA among many others. Dance: Joffrey Ballet, Lar Lubovitch, Alvin Ailey American Dance Theatre, San Francisco Ballet, Donald Byrd/Spectrum Dance, Hubbard Street Dance Chicago, Jose Limon, Ballet Memphis and others. Jack also provides owner's design representation for organizations building or renovating performance and rehearsal spaces. 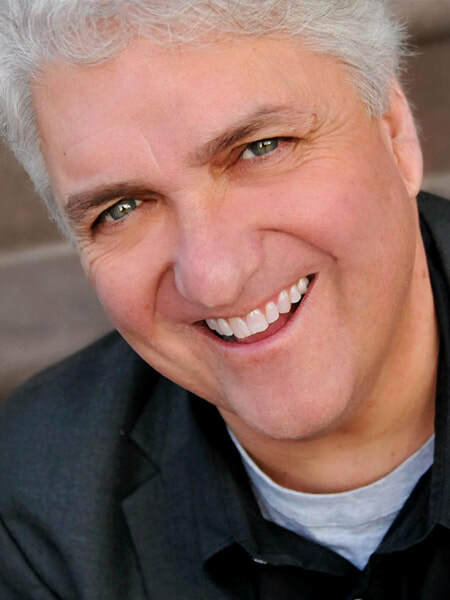 Don Hanna (Sound Design) is happy to be returning to North Shore Music Theatre for Young Frankenstein, where past credits include the recent production of Disney's Beauty and the Beast, West Side Story, Monty Python's Spamalot, and Billy Elliot. Up and coming projects are: the world premiere of Heartbreak Hotel (Sound Design, Ogunquit Playhouse), Wizard of Oz 2017-2018 International Tour (Sound Design, Apex Touring). Other notable credits include: Disney's Beauty and the Beast (Sound Design, Ogunquit Playhouse), Priscilla Queen of the Desert Regional Premiere (Sound Designer, Gateway Playhouse/Ogunquit Playhouse), The Million Dollar Quartet (Sound Designer, Gateway Playhouse), Saturday Night Fever Regional Premiere (Sound Designer, Gateway Playhouse), Billy Elliot (Sound Designer, Gateway Playhouse), Rock of Ages Regional Premiere (Sound Designer, Gateway Playhouse), Young Frankenstein Regional Premiere (Sound Designer, Gateway Playhouse/Ogunquit Playhouse). 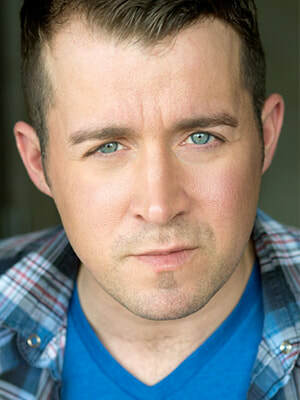 Touring Credits include: Pippin (Associate Sound Designer/Head audio, Apex Touring), Fame The Musical (Sound Design), The Million Dollar Quartet National Tour (Head Audio), Smokey Joes Cafe 20th Anniversary Tour (Head Audio). Don is a freelance Sound Designer and Engineer in the NY Tristate area. Other freelance production includes Frontier Show Productions, The Engman Theatre, Shades of Buble: A Three Man Tribute to Michael Buble, among others. A special thank you to my friends and family for their continual love and support. Kurt Alger (Wig and Hair Design). Maine State Music Theatre: Costume Designer: Les Misérables, Gypsy, Mary Poppins,42nd Street, Legally Blonde, The Marvelous Wonderettes, Xanadu, The Wiz, Always…Patsy Cline, Chicago, Spamalot, JCS, Light in the Piazza and Drowsy Chaperone. Wigs: Producers, All Shook Up, Les Misérables, West Side Story, Thoroughly Modern Millie, Grand Hotel, Hairspray. Kurt has traveled the country and the world as head of Wardrobe on RENT, Hairspray, and the 25th Anniversary Tour of Les Misérables. Resident theaters include Fulton Theatre, Ogunquit Playhouse, Pennsylvania Shakespeare, Orlando Shakespeare, Snug Harbor Cultural Center, Riverside Theatre, Beef and Boards and Drury Lane. NYC credits include NTMTF Best of Fest winners Caligula, Such Good Friends, Things As They Are, and Les Enfants de Paris, and work on the Off-Broadway smash hit Shockheaded Peter! Kurt designed and produced the world premiere of Born Blue. Other: A graduate of Wagner College in NYC he has also worked designing at the academic level at Julliard, NYU, Wagner College, and University of Southern Maine. Natalie A. Lynch (Production Stage Manager). With NSMT: Disney’s Beauty and the Beast, The Music Man and the 2010, 2011, 2012, 2016 Musical Seasons. Other Credits Include: Capital Repertory Theatre, Reagle Music Theatre, Lyric Stage Company of Boston, New Repertory Theatre, Pioneer Theatre Company, STAGES St. Louis, Stoneham Theatre and Maples Repertory Theatre. National Tours: The Magic Tree House: The Musical and A Christmas Carol. 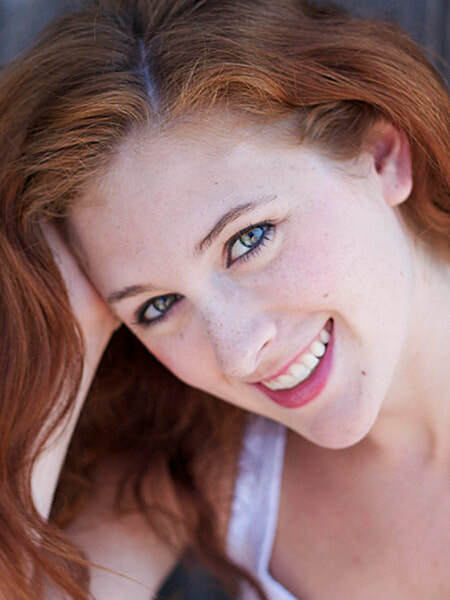 Natalie began at NSMT as the SM Intern in 2005 and is thrilled to return once again to her theatrical home. She is a graduate of University of New Hampshire and is a proud member of Actors’ Equity Association. Special thanks to her family and friends, especially her parents, for their endless love and support. For Andrew, Abigail and Devin. Dakotah Wiley Horan (Assistant Stage Manager) is thrilled to be back for the 2017 Season having worked as the Assistant Stage Manager on Disney’s Beauty and the Beast, The Music Man, A Christmas Carol, West Side Story, Spamalot and Singin' In The Rain, and as the Production Assistant for Mary Poppins and Funny Girl. Some of her previous Stage Management credits include: Capital Repertory Theatre: Marvelous Wonderettes, Cactus Flower, 33 Variations, Leslie Uggams in Uptown Downtown, Man of La Mancha, and Single Girls Guide. Pendragon Theatre: Clean House, Twelve Angry Men, A Christmas Story. CPS: The King and I. She is a graduate of SUNY Postdam and Universidad de Sevilla. She would like to thank her parents for instilling and encouraging her love of theatre, her very supportive friends and Natalie, Tom, and Kevin for this amazing opportunity. Shane Parus (Assistant Music Director) is excited to be working on his first show at NSMT! National tour credits: Elf (Tour Music Director/Conductor/Keyboard,) Disney’s Beauty and the Beast (Associate Conductor/Keyboard,) and Memphis (Associate Conductor/Hammond Organ.) He spent many years as a percussionist, pianist, and music director with Seabourn Cruise Line and Holland America Line. After nine years of traveling, he unpacked his bags and currently calls NYC home. A proud native Michigander, Shane remains a big Detroit Tigers fan and holds a BM in Percussion Performance from Western Michigan University. Thanks to his family, friends, and teachers for their continued love and support! Bill Hanney (Owner/Producer) is honored and proud to have been responsible for the re-opening of the nationally renowned North Shore Music Theatre in 2010. He began his career in show business at age 19, leasing and developing movie theaters, including his first multiplex in Quincy, Massachusetts. Before long, he was booking rock shows (Jefferson Starship, Rush) and other types of live entertainment, which eventually led to the presenting and producing of Broadway productions. One such show was an appearance by the legendary mime artist, Marcel Marceau. As president of Broadway Productions, Bill presented national tours such as Annie, Amadeus, Dancin', Peter Pan, Rocky Horror Show and Mark Twain starring Hal Holbrook, throughout New England including Worcester, Springfield, Portland, Maine and Boston. Aside from his work operating North Shore Music Theatre, one of Bill's crowning achievements was the 2007 purchase and re-opening of Theatre By The Sea, a landmark 500 seat professional summer theatre and restaurant, which is beginning its eleventh year of operation in Matunuck, RI (theatrebythesea.com). Throughout his career, Bill has stayed focused on his movie theatre chain having bought, built, owned, operated and sold more than 30 cinemas. His company, Entertainment Cinemas, currently operates seven movie complexes in four states. In 2009, Bill was elected President of the Theatre Owners of New England. Bill's ongoing work with NSMT inspires him to consider acquiring additional performance venues at which he plans to someday share his productions between his theatres. Bill has been named to the North Shore Top 100 by the North Shore Chamber of Commerce. In 2012 he was recognized by both the Beverly Chamber of Commerce and Salem Chamber of Commerce as Business Person of the Year. He is the recipient of the 2015 Leslie S. Ray Hall of Fame Award, presented by the Greater Beverly Chamber of Commerce. Bill is a member of the League of Broadway Producers and was involved with the recent revival of Pippin. Music Theatre International (MTIShows.com) is one of the world’s leading theatrical licensing agencies, granting schools as well as amateur and professional theatres from around the world the rights to perform the largest selection of great musicals from Broadway and beyond. MTI works directly with the composers, lyricists and book writers of these shows to provide official scripts, musical materials and dynamic theatrical resources to over 60,000 theatrical organizations in the U.S. and in over 60 countries worldwide.